Kenneth was born December 6, 1956 and is originally from California. He has been living in the Atlanta area for six years. Kenneth is a disabled Vietnam veteran and served in the 82nd Airborne for three years. He wanted to continue his education and become a Lieutenant, but ended up getting a job designing highways and dams. Kenneth also has a Civil Engineering degree and has worked as a Hospital Administrator. Kenneth had a good job, nice home, and a comfortable lifestyle, but after a wreck that resulted in a felony charge and one year in jail, he lost everything. He was homeless for nine months and says, “the worst part was sleeping on the sidewalk and digging through dumpsters because I got out of the will of God.” In September 2013, Kenneth decided to go to United Way, and they connected him to Homes of Light. 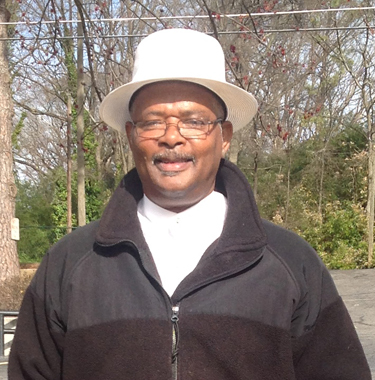 Since September 2013, Kenneth has been working with Homes of Light. Kenneth said, “if you want to help yourself, then they’ll help you.” He has successfully obtained SSVF benefits which has enabled him to move into permanent housing. Kenneth has helped them maintain their garden, he is very involved with a local church, and is training to become a Reverend. Kenneth attends Bible studies and Sunday school weekly. He is determined to go back to school, and would also love to become a Barber. He believes that, ” you have the ability to succeed as far as you want to go.” He is very grateful for all of the people that have worked to help him get back on track.